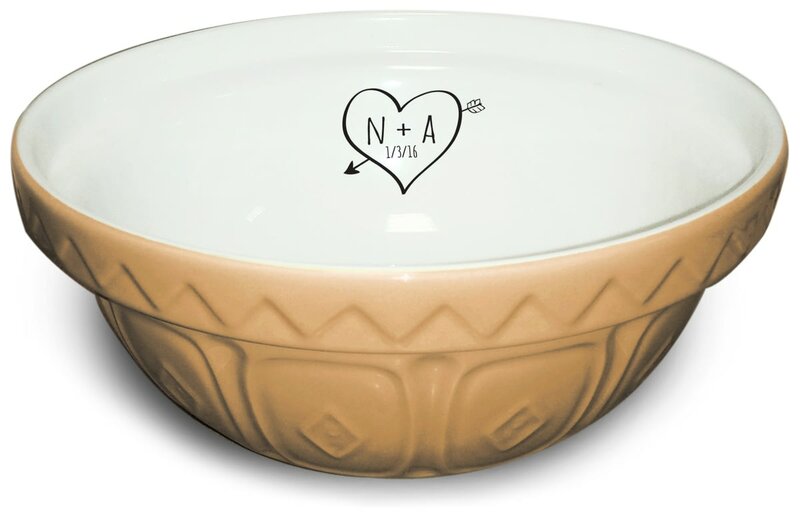 Your baker's initials are included on the rim of this bowl so that everyone will forever know that the kitchen is their domain! Whatever the occasion, a domestic god or goddess will definitely appreciate this retro gift (hopefully they'll whip you up a cake as a thank you). Please note: the '+' is not fixed text and must be entered if required. This tasteful ceramic hanging heart makes the ideal personalised decoration. Made from quality wood, this round cheese board would be the perfect gift. Remember carving your initials into a tree, well now you can have it hanging in your home. Personalise with up to 3 initials and a date. This tasteful red hanging heart makes the ideal personalised decoration. Their initials and special date are included within the design on the front of this chic cushion cover.